Here I have compiled a list of all the courses, books, techniques and software’s that I have either used or heard good things about and recommend. Solid course where all you are required to do is listen. It’s great for getting you used to the sounds of a language. It also gets you speaking very quickly. It’s perfect for beginners of a language, although intermediate to advanced learners may not find much use. Click here for my review. 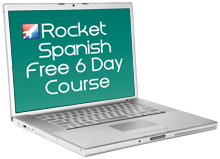 One of the most used and recommended courses that polyglots use. It doesn’t have as many languages as TYS, so it can’t always be used though. If you can, use this course as it is the best way to learn a language on your own. It’s a bit more expensive than TYS – but totally worth it. Click here for my review. Fantastic app for the iPhone and Android. Allows you to connect with native speakers and communicate with them via text chat and voice chat. Has built in tools that allow you to translate, look up and romanize text while chatting with someone. Another highly used course amongst polyglots. This series of courses has been around since the 1930’s and is still strong today. Some of the newer books have started to become more tourists/travel oriented in the way they teach, so try to stick with the older books if possible. Somewhat similar to TYS courses. Used and recommended by many polyglots as well and has a large collection of languages. These courses were created by the US Government to help teach diplomats the language. They spent a ton of money developing it and it’s one of the best ways to learn a language in a classroom setting. It was never intended for self-study. It’s all public domain and free to use now and you can still find them of great use. A program where you learn by reading and translating text into your language. You create “LingQs” for words you don’t know. When you see them again in another text, it helps solidify the word. $10 a month after 100 LingQs, but I’m not sure it’s worth the price when there are free alternatives. A LingQ alternative for those who don’t want to pay. It’s totally free and you can host it on your own computer or web server. Also, check out my Learning with Texts Overview. Another text reader like LingQ and LWT although no install required or web service needed (except for using the online dictionaries). Totally free. A fantastic website that I use any time I want to check my writing skills in another language. You simply post up a journal, which can be whatever you want, and a native speaker can come along and correct it. You should return the favor for other people and correct journals from your language. An online based flashcard learning system. You learn by creating mems, which are pictures to help you remember what the word is. The best SRS (spaced repetition system) flash cards out there. Available for your computer and phone, it’s easy to use and can also be used with Learning with Texts. Translate the web. Somewhat similar to how you would use LingQ or LWT but I haven’t used it much to know. A great site for connecting and speaking with native speakers of the language you’re learning. You can also get corrections on journals — similar to lang-8. Connects speakers and learners together so speakers can help teach you. A really cool website that is similar to iTalki. 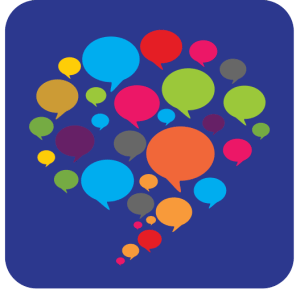 You can find language partners, voice chat, text chat, and grow your network. Very useful for meeting natives to speak with. A website where they do voice recording and audio transcription. You can submit a text to be read aloud by a native speaker and sent back to you, or you can submit a video or sound file for somebody to transcribe for you. And you can return the favor by recording and transcribing in your own native language. This is it for now, once I discover more resources I will post them here. Also, if you have any you would like to recommend then please send me an email and I’ll check it out!